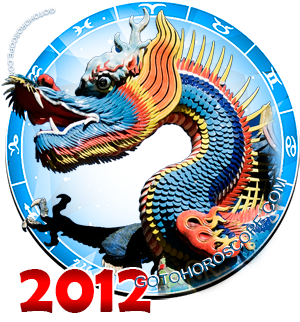 December 2012 Horoscope Aries, free Monthly Horoscope for December 2012 and Aries Astrology Forecast for the month ahead. Aries if you have been trying to buy a new home the month of December 2012 will see you finding that home, but you will have paperwork and other details to attend to that will take you. This month's favorable alignment of Jupiter in Cancer is the force that will make that home purchase a reality. You could also find yourself the proud owner of an inheritance that was somewhat unexpected. This could be our make it or break it month Aries. Relationships are going to be somewhat strained this month Aries. The influence of Mars entering the house of Libra will trigger arguments, irritations, stresses and anxieties. Money may be at the root of these distresses. You may also find that the last weeks of December are particularly dicey at work. You will have co-workers who want to argue with you and take away projects that you are doing plus they will want to discredit what you have done the entire year. Just be aware; you superiors are aware of what you have been doing. Your love relationship is going to be highly passionate at times during December Aries. You will also have increased contact with those far away and on the 17th of December you will find that neighbors want to have a party and invite you as the guest of honor! What a fun time this could be. Make sure you are ready with quick wit and good looks! 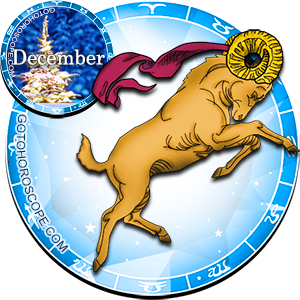 The first three days of December might be special for you Aries in money matters. 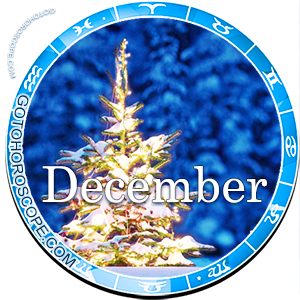 As Mercury enters Scorpio or your solar eighth house there may come an opportunity to earn money for extra Christmas gifts. Take advantage and do a great job - you may be awarded more outside projects that swing our bankbook into the positive! If you are questioning where you are going this next year, now is the time to make plans and changes. You might not want to change careers; if you are craving excitement this might not be the best way to go about it. You need to be aware and watch for your most rewarding days in December to be the 1st through the 5th, and the 14th, 22nd, and 26th and 27th. You will have a great time with family and friends on the 25th - that is a given. Just avoid arguing and making your point felt in mean and grumpy ways. Just enjoy this holiday month and have a great happy new year's. The partying will be entertaining!